Manufacturer & Supplier of Twisted Pair Data Transmission Cables. The electronics and automation sectors demand reliable transmission signals without any disruption. The increasing 'electromagnetic pollution of the environment' caused by an increased use of electronics has made it essential to achieve efficient transmission of important signals. Pair stranding is an effective way to oppose cross talk effects. 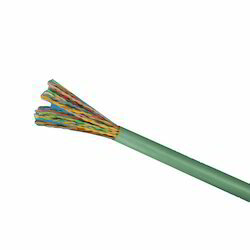 EVEREST®, Twisted Pair Data Transmission Cables provide a high level of protection and ensure data transmission without the disruptive effects of high frequency interference with close ATC braiding as screening. For further clarification on any variations from the standard product range, for instance, core, outer sheath and expanded temperature range, etc, Please do contact us. Fine wire strands of annealed, plain, high conductivity, electrolytic grade cooper conductor. Individual core insulated with extruded PVC compound. Two cores twisted together to form a pair wrapped with Myiar tape, then sheath, screened with ATC braiding and finally jacketed with a special PVC compound. EVEREST® USB Cables are manufactured using best quality raw materials, sizes and designs to meet rigid industry specifications. 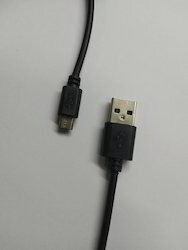 We are offering a wide range of high quality USB Cables to our valuable clients. Our rigorous quality assurance systems and safety standards influence our products at all stages, from design and engineering to manufacturing and packaging. Looking for Twisted Pair Data Transmission Cables ?